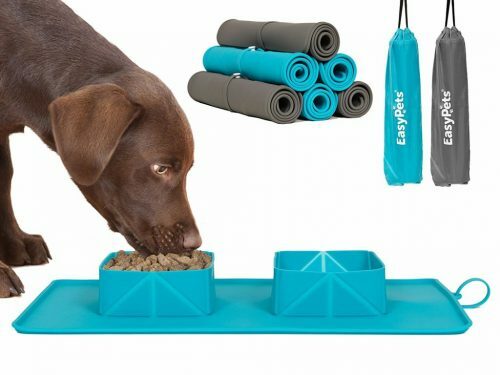 If you’re looking for a safe, hygienic and portable feeding solution for your pets at home, or whenever you take it out for a walk and do some fun outdoor activities, The Roll ‘N’ Go Double Dog Bowl and Mat is a MUST-HAVE for your doggy or cat! 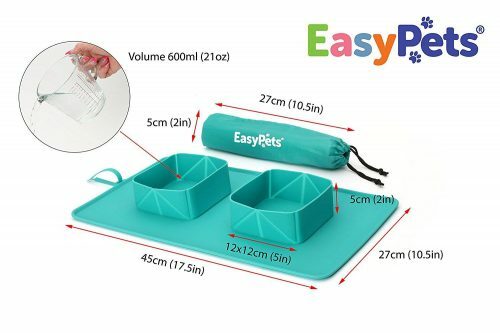 EasyPets Mat Rolls away in seconds and conveniently pops back in to its carry case. 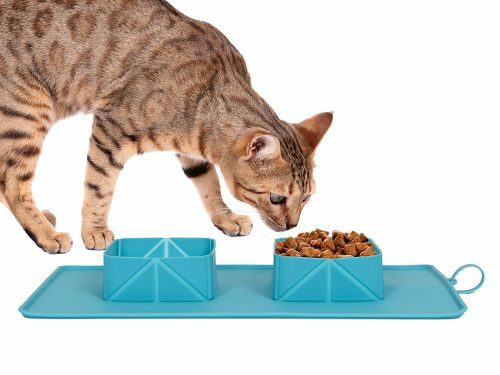 This means wherever you go you have a suitable, clean, handy double bowl set for water and feeding. 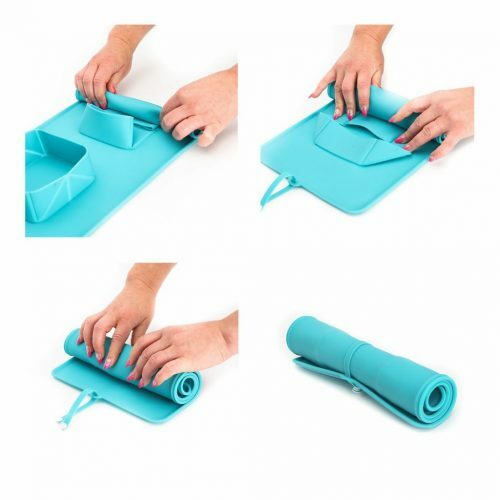 The mat stays put due to its non-slip silicone base, containing the mess that would otherwise end up on the kitchen floor. The Roll ‘N’ go is very easy to clean as it is made from 100% FDA approved food grade silicone with antibacterial properties. One of the best and most practical design features of the EasyPets roll ‘N ‘ go is that its use doesn’t stop in the kitchen. It’s unique fold down design means that it can be rolled up to the same size as a newspaper in 5 seconds. Your purchase comes with a water resistant carry case so that you can easily take it anywhere with you. Easily attaches to a travel bag or rucksack. 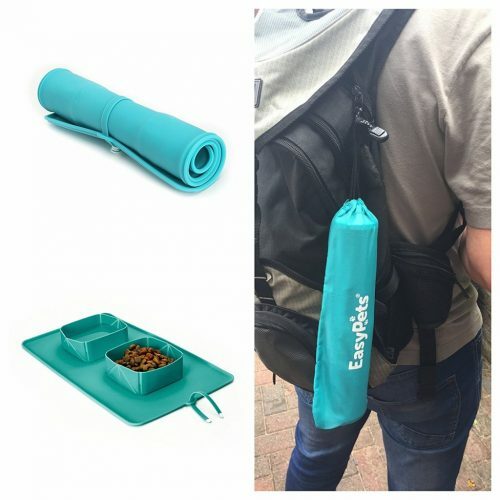 Take for walks, holidays, camping or even the pub! It works perfectly with cats too! Sign up as a BuyandShip member today, get access to our UK warehouse, and have us help ship your items back for only HK$22/lb!